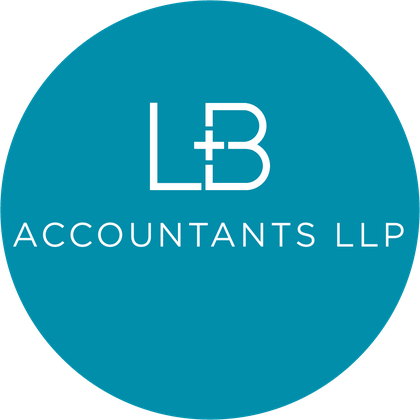 As a client-centric accounting firm, LB Accountants LLP is committed to helping our clients realize maximum benefit. With that in mind, it's our duty to keep up with the latest news and updates that you have access to the most current resources. With a number of blogs, articles, and budget updates in our repository, we're confident that you'll be able to find what you need in terms of accounting resources. And if you still have questions, we're happy to help — give us a call at 905-397-1099 today! Are you taking advantage of the Tax-Free Savings Account (TFSA)? Imagine setting money aside and having any Investment income or capital gains on it be Tax free for your lifetime. Not sure what to keep track of or hold on to for your income tax return? Have you heard of Canada Revenue Agency’s 'My Account'? Once registered and you have received your access code in the mail you can view a wide range of features regarding your personal account. Make sure you have a copy of your last filed tax return to answer the security questions while registering. Once you’re registered for My Account on the CRA Website you will also be able to access My Business Account. What can you do on My Business Account? Ever wonder exactly how much you will get from Canada Pension Plan in Retirement? I found this great article online explaining how the program works. My Service Canada Account provides convenient and secure access to view and update your Employment Insurance (EI), Canada Pension Plan (CPP), and Old Age Security (OAS) information online. Once registered you can view and print your Canada Pension Plan Statement of Contributions and so much more. (HBP) is a program that allows you to withdraw funds from your registered retirement savings plan (RRSPs) to buy or build a qualifying home for yourself. You can withdraw up to $25,000 in a calendar year. Your RRSP contributions must remain in the RRSP for at least 90 days before you can withdraw them under the HBP. Generally, you have to repay all withdrawals to your RRSPs within a period of no more than 15 years. You will have to repay an amount to your RRSPs each year until your HBP balance is zero. If you do not repay the amount due for a year, it will have to be included in your income for that year. Did you know you can add a business page on www.411.ca for free? It was simple to do, I created an account with my Business Email Address, searched for my existing page, Clicked on the “are you the owner of this business” filled out the info and the Next day I got a Call from 411.ca to verify the information and than I was able to edit the Page. We now show up higher in searches and have more information for perspective clients. Where is the “there” you want to be? Is it to make more money, pay less tax, have better cash flow, increase the size of your business, minimize risks, retire, hand the business over to a family member? Then you have to have a plan? Plans lead to defining goals and measuring our success on the way to those goals. Without one you’re just hoping things will come together. A written business plan requires thinking. It illustrates the key things we must do to be successful. It outlines how and when should we measure them so that we can engineer changes for continuous improvement? The business is operated by following the plan to achieve the goals the owners set as the basis of the plan. All successful people developed and followed plans. They involve staff who understands their responsibility to the plan. When everyone works the plan and measures success by the achievement of the plan, the owners gets to where they want to be. Expenditures made to produce income are tax deductible. Quite often we don't bother with the small amounts or lose track of receipts. If you are in a high tax bracket saving receipts can save you 44 cents on every dollar. For example if you had $1,000 of office supplies throughout the year you used in your business, but didn't bother to keep receipts, you lost the deduction which could have saved you $440 in taxes and $130 in HST. Calling your accountant to find out if what you think is an expense is deductible. Saving miscellaneous receipts in a handy envelope. Regularly reimbursing yourself by check for those receipts from the business.